Home » SEO blog » WordPress » What is WordPress? WordPress is a CMS, which stands for Content Management System. Starting out as a blog platform, it’s now widely used to build websites of all sorts and types. The platform’s popularity is mostly attributed to the fact that it’s free, but certainly also to its ease of use, ease of extension and search engine friendly code. 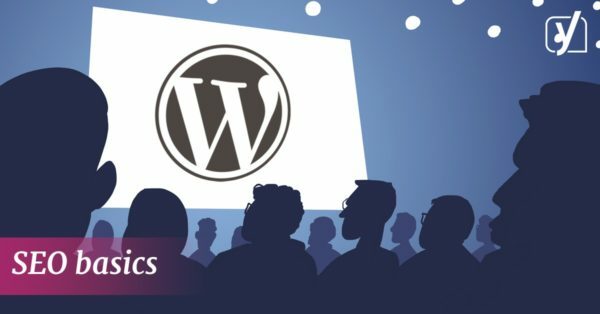 Here, we’ll discuss all the basic info you need to know about WordPress! You can download WordPress from WordPress.org. WordPress is free, which means you won’t have to pay license fees to use it: you can just download it. It’s also open source, which means that you have access to the source code and are allowed to change it. Because it’s open source, you aren’t tied to one vendor to set up a site in WordPress for you. If you’re no longer happy with your developer or development agency, you can switch to another agency and they should be able to continue the work on your existing site. WordPress can be extended through themes, for design purposes, and through plugins, for basically everything else. Using these extensions, you can add content types, forms, job boards, you name it. At WordPress.org you can find themes and plugins. 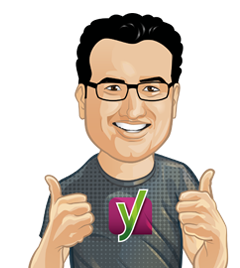 At Yoast, we maintain several WordPress plugins. Most of these add SEO functionalities to WordPress. Because WordPress is open source, you are also not tied to one hosting company. We maintain a list of WordPress hosting companies that we have tested with our plugins and that use the latest available technology to host your site. Find that list here: WordPress hosting recommendations.